The Fourth Annual Houma Louisiana Wedding Expo presented by the Courtyard by Marriott returns to the Houma-Terrebonne Civic Center on Sunday, March 11, 2018! 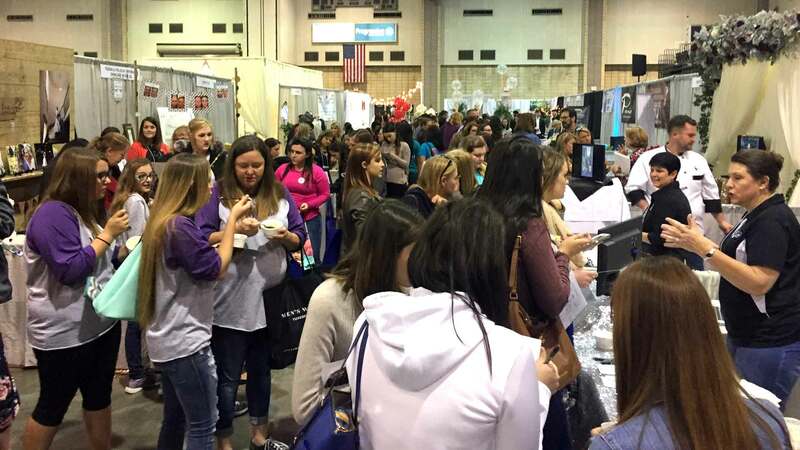 This event is one of the largest bridal shows in south Louisiana, and the 2018 show will feature over sixty exhibitors in the wedding industry. At the show you will find a variety of exhibitors available to assist with your wedding, reception, honeymoon, and transition into married life. Keep reading for some tips to make best use of your time at the show. Exhibitors at a bridal show are an excellent resource when it comes to planning your wedding. Come with a list of questions and start a conversation about your vision for your big day. Exhibitors are experts that can provide insight on the latest trends that they observe in the industry. Also, take time to look through their display and materials – a point of inspiration may be right in front of you. Be sure to ask a booth vendor if they are offering any show specials or discounts. Attendees have the opportunity to meeting with many vendors in a short period of time. Bridal shows are a highly competitive environment, and many vendors offer specials if you book with them in a certain period of time. In many cases, you can find real savings if you are ready to book or purchase at the show. Be on the lookout for prizes and giveaways. Some vendors participating in the show will have enter-for-a-chance-to-win drawings in their booth. Visit each booth even if you don’t think you have a need for their service. You could walk away with a prize just by visiting a booth. Also, don’t forget to register for a chance to win the GRAND PRIZE GIVEAWAY, a three-night stay package at the Beau Rivage Resort and Casino in Biloxi, MS. You will receive an entry form at the ticket table when you enter the event. One winner will be chosen at random, and the winner need not be present to win. The Houma Louisiana Wedding Expo is scheduled for March 11, 2018 from 11:00 a.m. to 3:00 p.m. Admissions is $10 per person and ages 12 and under are free. Preview vendors participating in the event at HoumaCivicCenter.com/weddingexpo.